NORTHERN Isles MP Alistair Carmichael is urging the Tories to put the fishing industry “at the heart” of negotiations over the UK’s departure from the EU. The Liberal Democrat politician, who backed the remain campaign in June’s referendum, was speaking in a week when NAFC Marine Centre published what the industry described as “bombshell” research about how Scottish fishermen have been let down by the Common Fisheries Policy (CFP). The research revealed that 58 per cent of all fish caught in UK waters was taken by foreign boats. On Tuesday, SNP Highlands and Islands list MSP Maree Todd acknowledged the CFP had been “a disaster”, but said she had no faith in the UK government to “behave in any more generous a way than it has done for the last few decades during Brexit negotiations”. She also voiced concerns about how fish can be exported to European markets once the UK leaves the EU. Carmichael told Scottish Secretary David Mundell that he must fight for a “good deal” for fishermen, pointing out the report showed that “half of all demersal fish and two thirds od all pelagic fish caught in UK waters are caught by boats from other EU countries”. Mundell responded by commending the Scottish Fishermen’s Federation (SFF) and others for their approach to the negotiations. He added the SFF was “quite right to characterise the report as ‘a sea of opportunities’, and it will have my support in realising them”. 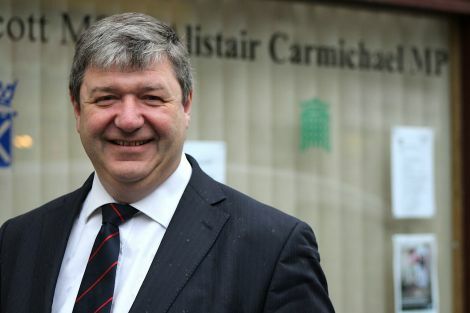 Carmichael said afterwards that the CFP had for years caused “enormous difficulties and frustration” for Scotland’s fishing fleet and despite reforms in recent years it “continues to work against the interests of a sustainable local fishing industry”. He endorsed the SFF and Shetland Fishermen’s Association description of the report as a “bombshell”. “The negotiations that are about to start must protect the interest of our fishing industry and promote the opportunities that there could be here for our fishermen,” Carmichael added. Conservative MSP Douglass Ross said it was “well known that the vast majority of fishermen voted to leave the EU” and the study’s results showed they had “good reason to be angry about the CFP and its impact on Scottish and UK fishing”. Ross said he was hopeful the study’s information would “strengthen the hand of the Brexit negotiators as the rest of the EU must realise what is at stake in these talks”, adding the UK’s exclusive economic zone was “worth considerably more to the EU than access to EU waters is to our fishermen”.